Transnational lists: a democratic reform or a new top-down initiative? Although in early February 2018, the European Parliament rejected the idea of a transnational list, the Pan-European idea itself entails a number of questions and differing opinions. 2019 may be a turning point in the history of the European Union (EU), since the European parliamentary elections and Brexit are expected to take place in the same period. With the Britons leaving, their seats were freed up, and an unusual proposal was made at the same time. On the September 2017 meeting of the Committee on Constitutional Affairs (AFCO), the plan of introducing transnational lists was put on the agenda. This plan would set up a list representing all citizens of the EU, for the seats that used to belong to one member state, the United Kingdom. If the proposal is to be implemented, 27 of the 73 UK seats will be redistributed between the member states, thus reducing the imbalance in their parliamentary representation. The remaining 46 positions would be filled based on the transnational list. Guy Verhofstadt, the leader of the Liberal ALDE Group, said at the September Committee meeting that the reform would be a serious step towards building a Pan-European democracy. His view is shared by numerous political actors, including French Prime Minister Emmanuel Macron and the Italian government. The proposal is not completely new, it was already accepted in 2015 but has not been ratified and therefore could not come into force. The upcoming elections can offer a new opportunity to materialize this integration deepening plan. Sven Giegold, a German representative of the Greens, said that the system of transnational lists would „reinvigorate democracy in Europe "*. Giegold added on the Euranet Plus radio that the current structure of the Parliament enables groups of representatives within one party family to run with different programs in each member state, thus increasing their success on national level, but disrupting a unitary political image. The Pan-European list would change this by obliging the cooperating factions to participate in the European parliamentary elections with a coordinated program. Social Democrat Jo Leinen has a similar opinion, who thinks the reform could create a common space, where the main European issues could finally be discussed during real transnational debates and negotiations. Leinen said: "Transnational lists are not a danger to European democracy, but on the contrary, would enable European citizens to directly vote for their preferred lead candidate "**. Pan-European lists would be based on national lists allowing citizens of the EU to directly choose their representatives. According to Leinen, the current European elections cannot be considered European at all – on the contrary, they are the result of national legislations, national lists and campaigns. He added that forty years after the introduction of the direct parliamentary democracy, it would be high time to give a real European dimension to the election instead of using it as second-rate national elections. Therefore, the introduction of the transnational list would emphasize EU policy-making and could extend parliamentary democracy to a European level. The prerequisite of voting on the list is to actually finalize the Brexit procedure. Danuta Huebner, the chair of the Committee on Constitutional Affairs, believes that until the legal consequences of the Kingdom's departure are firm, it is not worth changing the decision-making status quo to such an extent. However, this cautious policy does not take into account that if Brexit really happens, the 73 vacant chairs can upset the parliamentary equilibrium unprecedentedly. Due to the ongoing exit procedure, the fate of the British seats is uncertain, making a quick and effective solution essential, since the United Kingdom has one of the highest number of parliamentary mandates. The opponents of the reform proposal - including the Visegrád Four -, are concerned about strengthening the supranational aspect of the Union and are afraid of losing their states’ sovereignty in European decision-making: they think that the new system will damage their national interests. This is a completely natural reaction and deepening integration has always been criticized (just think of Margaret Thatcher or Vaclav Klaus). The critics always were in favor of protecting the interests of the member states, although at the same time they enjoyed the benefits of the European community. However, we must take into account that in the recent years Europe has faced such challenges as the refugee crisis, terrorist attacks, Brexit, problems with the single currency, the rise of the Austrian far-right and its partnership with Russia or the election of the Republican Donald Trump in the United States. These domestic and foreign policy crises can have serious consequences both on member state and EU level. Strengthening the European community can be of key importance in tough times, after all this very idea brought the integration aspirations to life decades ago, by giving scope for a large-scale cooperation that could face future challenges in unity. The ideas of the Pan-European list and the cross-border European constituency made clear that the objective of a transnational Europe is no longer a vision, but very real. Moreover, due to this initiative, the accountability and responsibility of the representatives would raise serious concerns. The way things are going, Great-Britain will have to leave the European Union in March next year, therefore on the European Parliament elections in May 2019, 73 UK seats will become vacant. The current plenum with a headcount of 751 is planned to shrink to 705 until the 2019 elections. 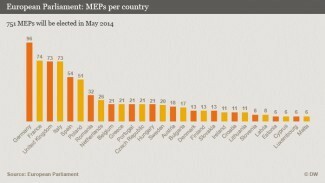 27 of the 73 British mandates would go to the underrepresented EU member states, while the remaining 46 seats would be set aside for a possible enlargement or – according to a previous initiative –, for MEPs elected from a transnational list. That is, twenty-seven mandates out of the 46 seats may be given to members elected from a supranational list in a newly established European constituency, by voting on the list of the parties sitting in the Europeam Parliament. Thus EU citizens could even vote for representatives of other nationalities next year. British constitutional lawyer Andrew Duff already raised the idea of a Pan-European list 10 years ago. The present proposal can be linked to the French Prime Minister Emmanuel Macron. With Great-Britain leaving, France, already one of the most decisive powers of the EU, will gain more space and might initiate deepening integration. Moreover, instead of the former coalition of the European People’s Party (EPP) - Socialists and Democrats (S&D), the liberal faction entering the position next to the EPP also contributes that liberal principles are now more prevalent in European politics. The plan of the Pan-European list could also be a test for modeling the electoral system of the United States of Europe. With the upcoming Brexit, not only the power relations will be redistributed within the EU, but probably also the integration policy may change. The British European-policy has always been rather anti-federalist. By leaving, the opponents of deepening integration will lose a significant player and at the same time, the supporters of a transnational Europe will lose their last notable opponent. The idea of a Pan-European list is a tangible, concrete proof of the fact that with the Brexit the concept of a supranational Europe is getting implemented. This top-down initiative ignores the aims, interests and opinions of the smaller states (like Hungary), as well as the EU's original vision, that was based on the cooperation of sovereign democracies. In addition to the emerging vision of integration, it is important to talk about the practical applicability of the supranational list. Due to the list, a number of issues may arise regarding representatives who will get their mandate. The most important problem is the lacking connection between the electorate and the elected representatives. The European voters, especially those in the Central European region, are much more familiar with their countries’ domestic politics and do not really follow international politics nor do they have detailed knowledge of it. On an election, where the citizens of a given state could vote for representatives of other nationalities, there is a real danger that most voters would not even know the said representatives. Additionally, the responsibility and accountability of the elected members on the European list would be highly questionable. Traditionally, there is a low voter turnout at the EP elections, because inter alia voting citizens do not really believe that they are able to influence the operation of the institution with their votes. Those who are eligible to vote do not feel that their right to vote really means political power over the decision makers. The accountability of MEPs is problematic nowadays as well. In the new system, where it would not be obvious whom exactly the elected MEPs represent, this obscurity of the delegates' responsibility would indeed cause great damage. The majority of the European Parliament voted against the idea of a supranational list on 7. February 2018, therefore the proposal did not become a parliamentary initiative, about which the European Council could have eventually decided. The EP's largest fraction, the European People's Party, has always been against the proposal. This was another example in European decision-making, when the leadership of the European Union tried to force a top-down initiative on its member states that is not supported by the majority of them. These member states would rather tackle their real and more urgent issues instead, because they see more realistic opportunities to solve these problems. Although this idea did not materialize, it is certain that the European political leaders will keep on trying to implement similar concepts.